I'm still finding myself curiously out of sorts with the world. I just cannot settle to anything, be it a book, a bit of knitting, sewing, spinning. You name it I've been picking it up and putting it down again recently. 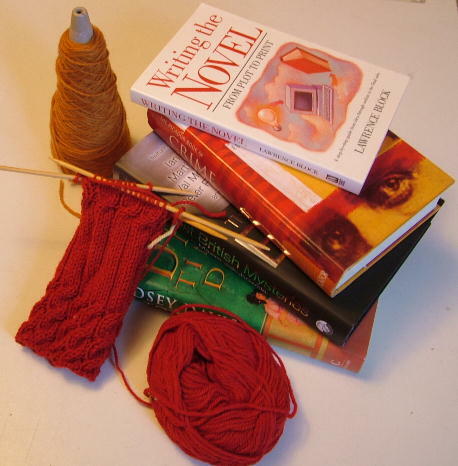 I am bored with my current knitting projects but cannot summon the inspiration for something new. I have started several books and not got any further than a few pages with any of them. I have a lovely quilt-top finished and waiting to be quilted but I cannot decide on a pattern to use. I am feeling flat and listless, which is most unlike me. I have nothing of interest to report from the allotment either, bar that weeds are growing faster than anything I planted. Please bear with me. I'm hoping this will pass soon and that normal service will resume shortly.